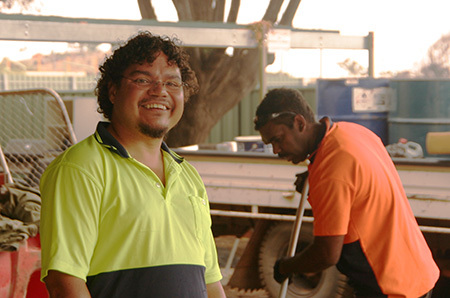 Thomas Warren is crewing for Arrernte Workforce Solutions, once a CDEP provider but now an independent Aboriginal enterprise, working mostly on grounds maintenance contracts and competing in the marketplace at commercial rates. Mr Warren had been painting houses up in Darwin but he wanted to get closer to home. 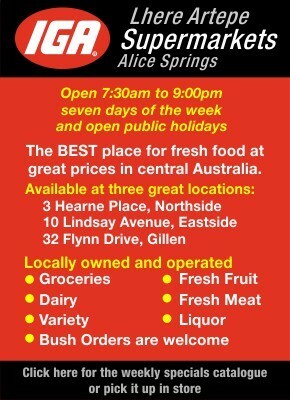 Most of his family lives in Adelaide so Alice Springs is half way there. 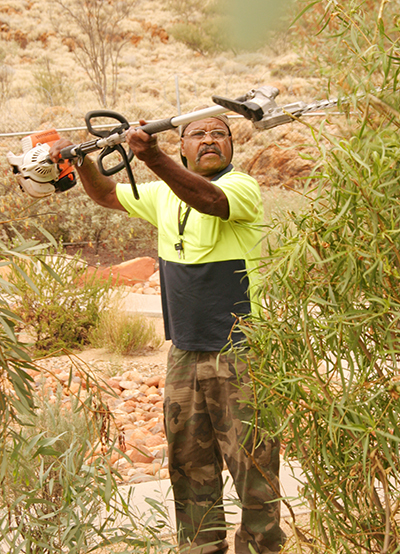 He joined Arrernte Workforce Solutions 18 months ago, in the early days of its restructure. This is the first time he’s worked for an Aboriginal-owned and -run outfit. He recognises the challenge of it being “totally independent” but “that’s why I’m still here”. If more Aboriginal people were working and independent, “it would be a better world for us to live in”, he says. In the past that’s included making artifacts and teaching others to make them in TAFE colleges. What was the key thing that influenced his attitude to work? I talked to Mr Warren on the job, working on the garden at the Central Land Council offices along with two other crew members, Neville Satour and William Cole. Mr Satour joined three months ago. He had been mentoring at Tangentyere Council with the Territory Alliance (on SIHIP contracts). He could find work anywhere but does he prefer to work for an Aboriginal company? “It doesn’t bother me,” he says, “but it’s good to know most of the people you work with and good to do something for people, especially Aboriginal people. He knows there’s concern about too many Aboriginal people not working. What does he see as the issues? The critical thing is to have a “better family life which gives you a chance to get to work”, then earning a wage becomes a motivation, helping you give your family a better life, and so on it goes. He says it’s “very, very good” to have Arrernte Workforce Solutions standing on its own feet: “We don’t have to put up with funding bodies and submissions. The company was close to folding when its CDEP funding was withdrawn. It probably would have, if its present manager, Damien Armstrong, hadn’t picked up the pieces. “You need the right people in the right jobs, especially the bosses,” says Mr Warren in a tribute to his manager. To an outside eye Mr Armstrong isn’t an obvious fit: he’s a reputed musician (of NoKTuRNL fame) and for years worked in the former Aboriginal Art and Culture Centre as a tour guide. The downturn in the tourism industry is responsible for him recycling into a new role: “Was a skilled guy like me going to sit around and do nothing? Hell no!” he laughs. He admits there’s a “social agenda” for him too, wanting the Workforce to become an example of a successful commercial business run by Indigenous people. He says his past experience has equipped him well for the management role, the customer service side in particular. Tight administration logically had to follow – no use winning new contracts if the supply side, the billing, the balanced books weren’t all in place. Today he’s got a full-time bookkeeper and a permanent crew of six men, working on different contracts in teams of two or three, five days a week or more. If it’s really busy Mr Armstrong himself will pick up a shovel – in fact I wouldn’t have known the Workforce was back in business if I hadn’t seen him doing just that, on a Saturday a couple of weeks back. He’s also got two casuals on call and a “stack of resumes on my desk of motivated individuals who would like to come on board”. He’s keen to grow the business so that he can employ more people but he’s careful not to stretch too far too quickly. 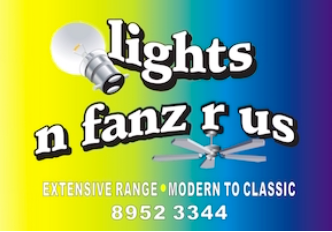 At present they do grounds maintenance at a lot of corporate premises: he mentions the Department of Health clinics on Stuart Terrace, CAAMA, but also small independent businesses, like Country Diesel Maintenance, Creative Gifts and Awards, Red Centre Communications, and a number of private residences. They’ve recently set up a vehicle-cleaning and detailing bay at the back of their premises in Kidman Street. With that, their yard is at capacity and they’d need to expand premises before taking the next big step they’ve got in mind, a mechanics workshop. The yard is one thing that some might say gives them an unfair competitive edge – it comes rent free thanks to the Indigenous Land Corporation. What does Mr Armstrong have to say on this point? “It’s the only competitive edge we have. When our CDEP funding was taken away Arrernte Workforce was not ready for independent commercial trade. It’s been a struggle these last two years, to completely restructure and get to the point where we are now, with good secure trade and consistent employment of Indigenous people without being any burden whatsoever on government funding. “As the further stages of our restructure are implemented and the business grows, we’ll look to assuming full commercial responsibility. “In the old days our client base would get their yard done for a flat rate of $88 – that wouldn’t even pay for the administrative cost of sending out four blokes on CDEP. “For us as a small business to come out of that situation and assert ourselves in the marketplace under commercial rates without any assistance at all is quite an achievement. “At the end of the day we are Indigenous people who want to work, we’re not being forced to work out of fear of our dole being cut off. Pictured: Top – Thomas Warren pruning with an electric hedge trimmer. Above left – Neville Satour ready to do a green waste dump run. Above right – Manager Damien Armstrong in the Kidman Street yard, Rennie Raff in the background. A great story Kieran, thank you. And to top it off, unanimously positive comments from a diverse range of locals. This town needs more of that, things we can all agree on and celebrate. 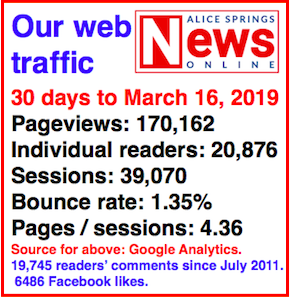 Thanks, Alice News. This story is noteworthy on a several counts, not least that it’s very positive with seemingly universal support, judging by the comments it has received. I’m happy to express my support, too. As a non-Aboriginal person, I’ve experienced working on CDEP with the former Arrernte Council of Central Australia (see “HIS LIFE ON JOBS FOR THE DOLE” http://www.alicespringsnews.com.au/1221.html), which was an interesting experience, to say the least. If the short period of time I was on the CDEP is anything to go by, it’s no wonder this scheme has struggled to achieve much. So it’s great to read about the achievements of the Arrernte Workforce Solutions that have risen out of the ashes of the former CDEP program and I wish them every success for the future. Three cheers for Arrernte Workforce for showing what can be done, and three cheers for News for running a posiitive story. A great story. Congratulations to all involved. Great work Damo and crew, it is fantastic to read what you and your workforce is achieving, it sets a great example for anyone who wants to have a go. You and your people are great role models for the future of this country. Well done to you all. Bucko !! This team has worked on my property on at least three occasions over several years. They are a diligent, friendly, professional and talented team that I have been very happy to recommend to friends and associates. 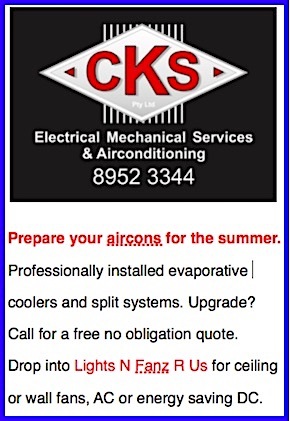 They are competitive in price and do a fantastic job. They even clean up after they’re finished the job … much better than some other contractors. Keep up the great work!!! 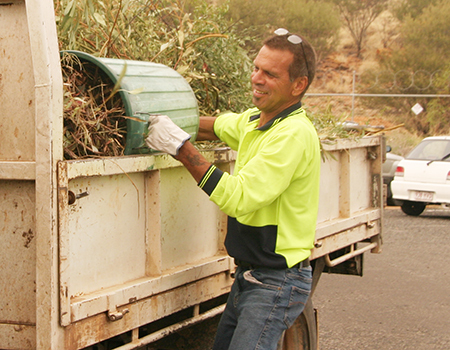 Arrernte Workforce Solutions have been maintaining MacDonnell Shire Council’s head office grounds for some time now with great success. Well done Damien and the fellas! A positive showcase of Indigenous employment alive + well in our Red Centre! Improved labour market participation is central to achieving positive social and economic outcomes for Indigenous people. Yeh, good onya blokes! Really good story about a bunch of really good fellas. This is the way and the only way forward for our town. Be wary don’t get sucked back into the system by taking handout contracts from paternal departments. Maintain your independence at all costs! Keep competing in the open market place. 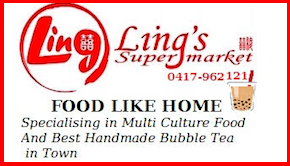 Quality work, customer service and employing friendly committed locals will bring you all the opportunity you need to make a success of your business. Congratulations on what you have achieved so far and I wish you all the best in your future endeavours. Congratulations to Damien – good to hear that all his hard work is leading to success. It would be great to see a business like this getting contracts to keep the red gums safe from fires in the town’s riverbeds.